Learn how to set up the notifications of the service. Click on Settings, and then, Notifications. 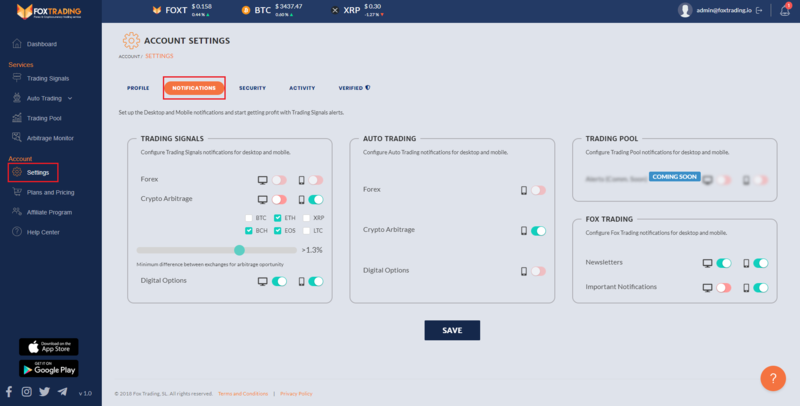 Now the following picture shows you an account that has purchased an Auto Trading plan and is holding more than 1,000 FOXT on the platform, so the Trading signals and the Auto Trading notifications can be set up. You can set it up at your will, the following picture is just an example.